Ensuring a healthy bounty of presents on Christmas morning isn't all about just being good. 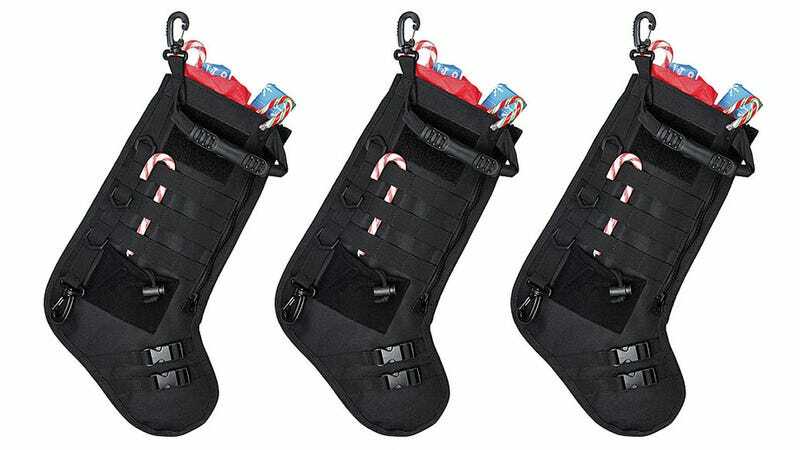 As any kid will tell you, there are countless strategies you can use to maximize your pile of presents—including this tactical stocking. A new addition to your festive arsenal, it's packed with pockets, straps, clips, and an extra strong handle for carrying when it's filled with gifts.